Indiranagar’s newest dessert spot is all about brownies and nothing more. Sweet tooths, say hello to Brownie Heaven. They do brownies of every imaginable flavour and brownie-based desserts and shakes too! A dessert spot that does just brownies and desserts sounds like a dream. That’s what Chennai-based and aptly named dessert cafe, Brownie Heaven is all about. Known for their 90 odd brownie flavours back in Chennai, the Bangalore joint does about 15 flavours currently. There’s the Classic brownie which we tried and loved the gooey texture with the perfect amount of sweet. Finishing the whole thing, however, did leave us feeling a little full. And that meant, leaving flavours such as Cookie Dough, Red Velvet, White Chocolate, and Triple Chocolate for another time. We did have a bite of the Red Velvet, which isn’t as heavy but just as yum. The last one already had us drooling just by its name — Triple. Chocolate. Brownie. It’s not just brownies that Brownie Heaven does, they take it a notch higher with desserts made using brownies. We tried the Brownie Cheesecake which is a brownie sandwiched between cream cheese, and blueberry compote and roasted nuts. You can switch the brownie flavours to your preference too. For instance, Mocha Fudge Brownie comes with a Classic Brownie which you can swap for a Caramel Fudge Brownie. 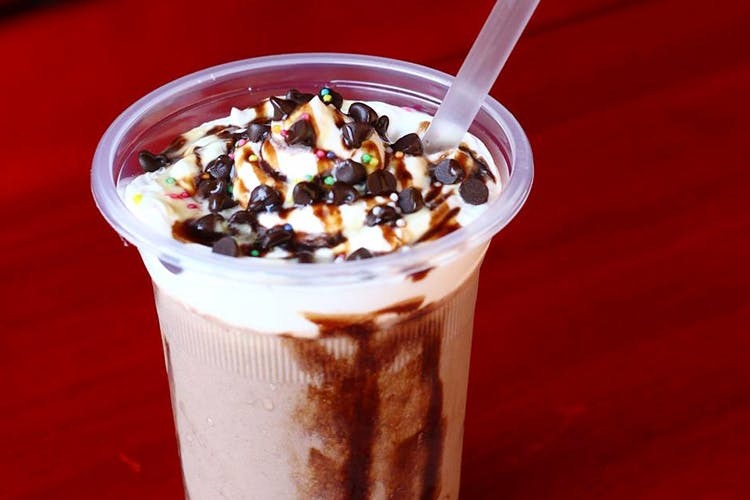 Instead of coffee, there’s brownie shake for you to slurp on and it comes with interesting flavours with the Filter Coffee Brownie Shake catching our eye. Mind you, the entire menu is filled with sweet things, so you might want to go easy and spend some time on your brownie or shake. Unless, like us, you don’t mind stuffing your face!